Being injured in an accident caused by a rideshare driver isn’t much different than being injured by any other driver. If you can prove that the Lyft or Uber driver caused the crash, you can pursue the driver by filing an injury claim against them. There are laws concerning rideshare companies, and these drivers are held to higher standards of care than are other drivers. You deserve to be compensated for your injuries and losses when you’ve been hurt because of a careless or reckless rideshare driver. So, when are you permitted to file an injury case against an Uber or Lyft driver who has harmed you? You can file a claim if you have evidence that the driver caused the accident. For instance, if you are in the vehicle and you see that the driver ran a red light, causing your accident, you can prove that the driver caused your injuries because of negligence. If you are driving in another vehicle and are struck by a rideshare driver, there might be witnesses who can prove that the rideshare driver was at fault. Depending on the seriousness of your injuries, you might be able to sue the rideshare company to recoup your losses. Both Uber and Lyft carry supplemental auto insurance coverage if their drivers are involved in vehicle collisions. Your car crash attorney will be able to examine your case to determine whether you can sue the rideshare driver only, or whether you can go after both the driver and the rideshare company. What Types of Damages Can You Obtain by Winning an Auto Injury Claim? One of the main reasons that people file injury claims is to receive the money they need to pay for the damages the accident has caused them. Vehicle wrecks are known to cause severe injuries, such as brain injuries, spinal cord damage, burn injuries, organ damage, broken bones, and limb loss. These injuries could cause expensive medical bills, property damage, lost income, physical therapy costs, mental and emotional trauma, physical pain, and other types of suffering. You will need the money from winning your claim to pay for all these losses. You can obtain compensation by winning your case against the rideshare driver or against the rideshare company. An attorney at our firm will work to see that you receive the justice and monetary compensation you deserve for your rideshare crash. 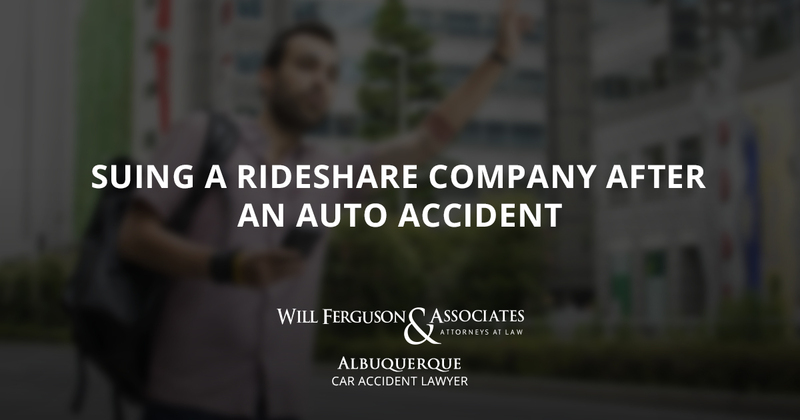 Rideshare drivers can make negligent mistakes that cause accidents and injuries. They can be held liable for your injuries and damages, just like any other careless driver. The rideshare company can also be held liable in certain circumstances. Your attorney can help you to sue the responsible parties to recover compensation for your losses. Get in touch with an attorney at Will Ferguson & Associates. We offer a free case assessment to those who call 505-633-0750 or who send in the online contact form at the bottom of this page. 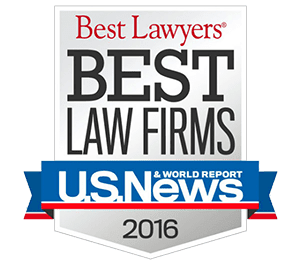 What Counts as Negligence in a Medical Malpractice Lawsuit? Do You Have a Gynecological Plastic Mesh Implant?